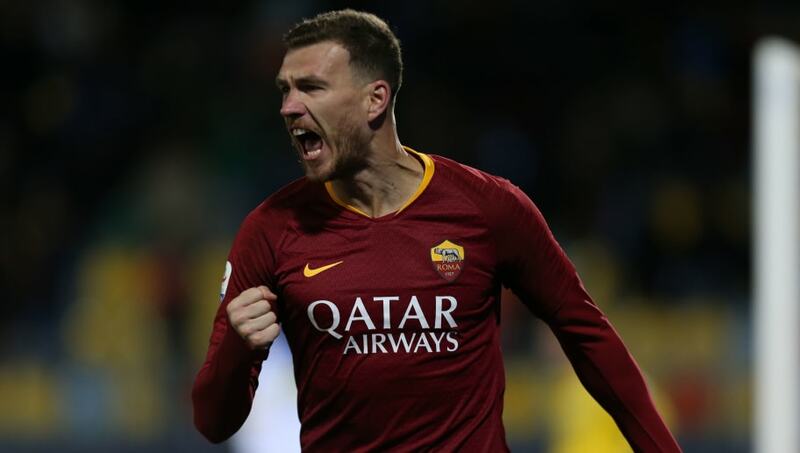 West Ham have "agreed personal terms" with AS Roma striker Edin Dzeko ahead of a potential summer switch, according to a fresh report. The 33-year-old was rumoured to be on the verge of replacing Marko Arnautovic at the London Stadium in January, but when the Austrian's proposed move to China fell through the Hammers also pulled out of a deal for Dzeko. It seems Arnautovic had already burnt a lot of bridges with the West Ham faithful though and the club are still eager to cash in on their top scorer in summer. That deal will likely have to materialise before the Hammers can fund a move with Roma expected to hold out for €20m. According to Il Tempo, West Ham have put themselves in a favourable position by agreeing personal terms with the Bosnian hitman. Dzeko's goal return has slowed down a lot in Serie A this season with just seven league goals for Il Giallorossi. He is still averaging a goal every other game in his time in the Italian capital though having scored 84 goals from 168 appearances. He also has previous Premier League experience where he played under current Hammers boss Manuel Pellegrini at Manchester City. Dzeko scored 50 goals in 130 appearances for City helping them to their first two Premier League titles, an FA Cup and a League Cup. West Ham are hoping the Bosnian will add a focal point to their attack after a subdued campaign but may be reluctant to meet Roma's valuation for a player of Dzeko's age.